Thanksgiving is right around the corner so I thought I’d share a great recipe to use if you have some leftover turkey. I love pumpkin and forget that it can be used in savory dishes as well. 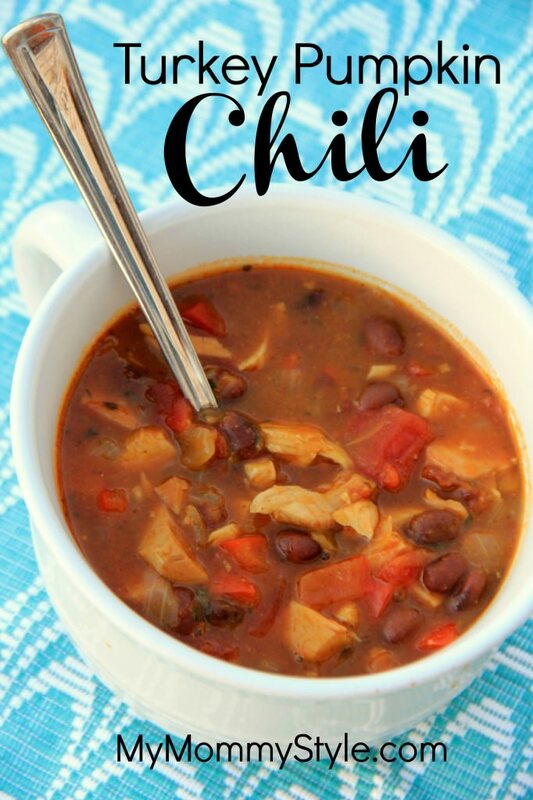 You can substitute chicken for the turkey so you can enjoy this filling and tasty chili any time of the year. Add pumpkin and chicken broth to 5-qt. slow cooker, whisk until combined. Stir in the onion and pepper mixture and remaining ingredients. Cook, covered, on low 4-5 hours. Linked up with: I should be mopping the floor, Buns in My Oven, Tidy Mom, A Dish of Daily Life, The Pin Junkie, Katherine’s Corner and Posed Perfection. This sounds so good. I always enjoy making new versions of chili. I am adding this to my must make list. Coming over from Inspire Me Monday.